Gorgeous rustic-style unit perfect for a ski vacation in Tremblant. Lucky are those who get to stay here! The main area is tastefully decorated in a warm, country style. 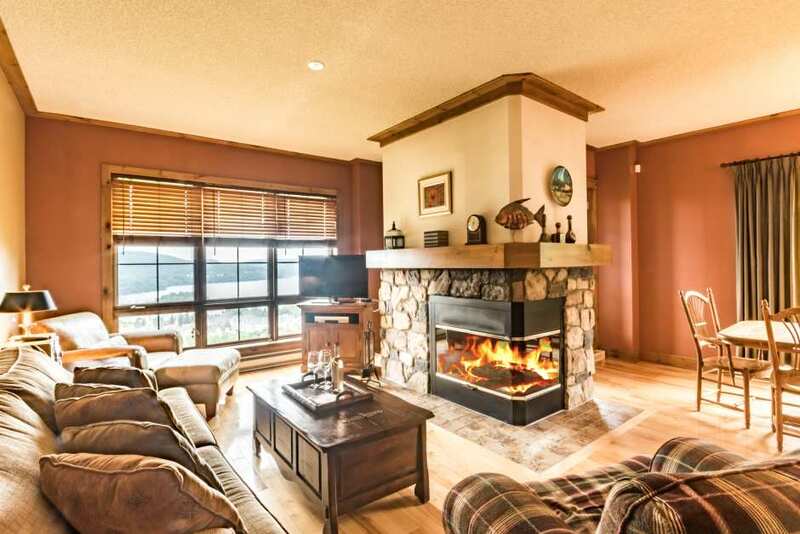 We love the beautiful view, the wood-burning fireplace and the cozy bedrooms. The master suite has a king-size bed for a good night’s rest, a bathroom with therapeutic bath and heated tiles.There are two other inviting bedrooms, one with a queen-size bed and the other with two singles. The unit is equipped with cable TV, a DVD player, a compact sound system and wireless high-speed internet. Ski locker reserved for guests. A great choice, no matter the season!